Bring a little life to your room with this spirited vinyl artwork. 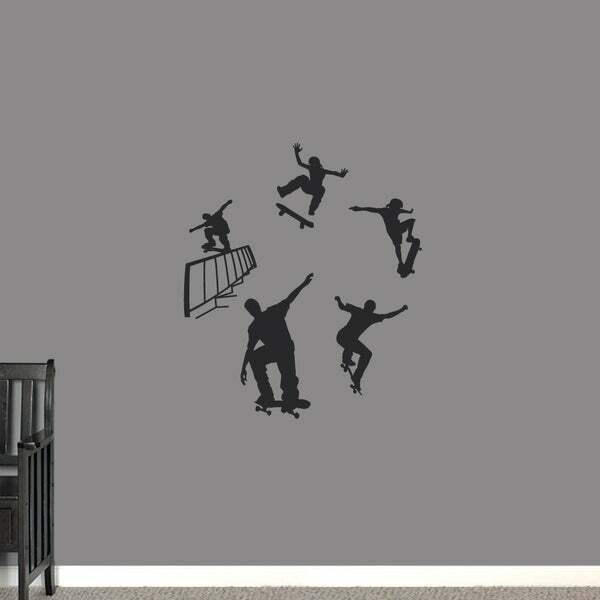 Each skateboarder is in a different position making for an awesome wall mural for your child's room. Space it out and put them on every wall.